The EU has proposed new copyright rules that will allow European residents to travel with the digital content they have purchased or subscribed to at home. The proposed regulation would permit “cross-border portability of online content services”, in a move that would stamp out geo-blocking of online content across EU countries. Ansip likened the changes to the planned phase-out of mobile roaming charges in Europe and is part of the EU’s plans to modernise European copyright rules. The new rules are expected to be introduced in 2017 and will apply to all 28 EU member states. “The Regulation proposed today is the first step of an ambitious reform. I count on the co-legislators to make sure that portability becomes reality for European consumers by 2017 so that they can enjoy their favourite content also when they travel in the EU – and without the fear of roaming charges, which will end by mid-2017,” said commissioner for the digital economy and society, Günther Oettinger. Under the new rules, the EU said that it will change the current situation whereby a Dutch subscriber to Netflix travelling to Germany isn’t able to watch films offered by Netflix to German consumers, or a French user of the online service MyTF1 is not able to rent a new film while on business trip to the UK. “More will be proposed in spring next year. 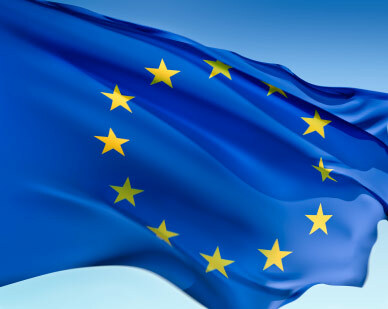 Our aims are to allow a better circulation of content, offer more choice to Europeans, to strengthen cultural diversity and provide more opportunities for the creative sector,” said the EU. It also said that it intends to improve the cross-border distribution of TV online and aims to “facilitate the granting of licences for cross-border access to content”. However, critics have raised fears about what the knock-on effect could be on territory-based content distribution models. “The Commission’s proposals to mandate cross border access to digital content remain a significant concern for producers, distributors and broadcasters of film and TV content in the UK and across the EU,” said John McVay, CEO of UK producers’ body PACT.